Independence Blue Cross is excited to kick off another Summerfest season at the Blue Cross RiverRink! The fifth annual summer celebration promises to be the best yet at Philadelphia’s most iconic outdoor skating rink. 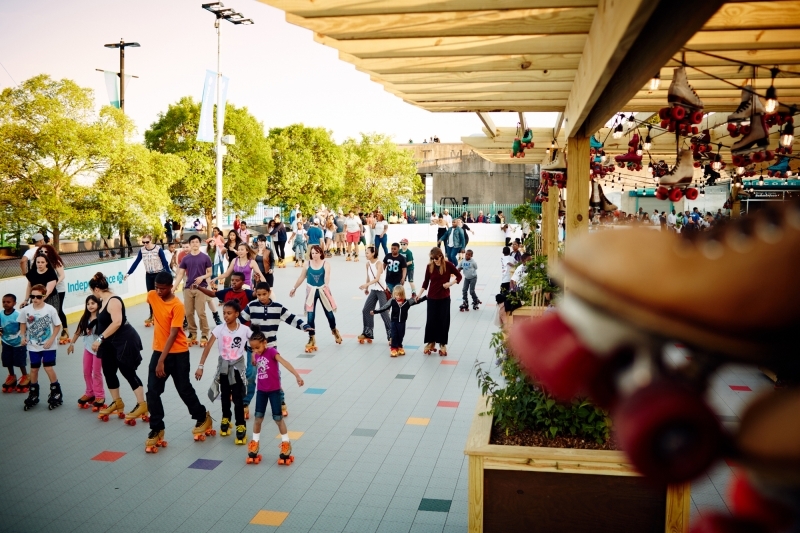 Located on Columbus Boulevard at Penn’s Landing, visitors can enjoy roller skating, outdoor bowling, arcade games, carnival rides, and more from May 26 to September 3. Plus, Independence card-carrying members skate for free! New in 2017, Blue Cross RiverRink Summerfest debuts carnival-style attractions with a Ferris wheel, a full-size carousel, and boardwalk-inspired games. We’re proud to help make the region a healthier place to live, work, and play!